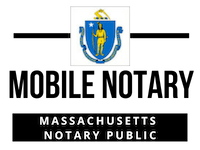 As of that date, all notaries public, regardless of when they received their commission, must comply with chapter 222 as amended by chapter 289 of the acts of 2016. Executive Order No. 455, which had previously governed the conduct of notaries public in the past, has been rescinded. The text of the new law is available at: www.mass.gov/notarylaw.